Destin Library Egg Hunt. 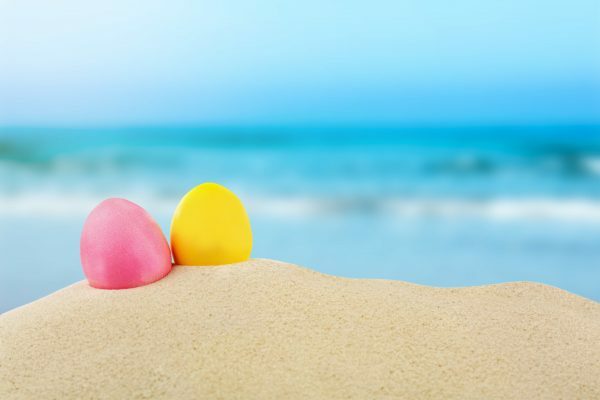 Take your children ages 4 and under to the Destin Library at 150 Sibert Ave at 9:30 AM for some early Easter egg hunting. Door prizes, the Easter Bunny itself, and lots of fun await you at the Destin Library. Be sure to RSVP by calling 850-837-8572. This ones for the Dogs – no really! Bring your pup out to Grand Park in Grand Boulevard on Thursday, March 29 from 5:30-7:30 p.m. for a free doggy social. For just $10 you and your pup can participate in a doggy treat egg hunt as well! For the humans a $5 donation will get you refreshments after the event. All proceeds go to support Dog-Harmony, a local charity that trains and rescues abandoned or surrendered dogs. For more information visit www.grandboulevard.com. Easter Crafts at the Destin LIbrary. From 1-4 PM, bring your children ages 4-12 and so they can get crafty and make an Easter magnet. Free and open to the public. Destin Library. Easter Explosion. A cant miss Easter Experience is the annual Baytowne Wharf Easter Expolsion! Face-painting, lawn games, and an inflatable obstacle course is from 12-3 PM. Oh and don’t forget a Picture with the Easter Bunny. more information visit http://www.baytownewharf.com. Lulu’s Easter Egg Dash. Head over to Lulu’s at the foot of the mid bay bridge to enjoy tell the kids to be on the lookout for the “Golden Eggs”. The Easter Bunny will be making a special appearance for photo. Starts at 2 PM, but the best seats go early. Easter Egg Hunt at The Gulf. The Gulf Okaloosa Island, 1284 Marler Ave, will also have a Easter Egg hunt , and bottomless mimosas for the adults over 21. The 5 and Under Hunt is at 1 PM, and the 6-12 year old Hunt starts at 2 PM. Easter Brunch in the Harborview room 10-2pm $32 per adult and $16 for kids over 3!